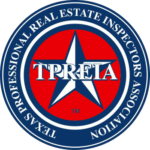 A Buyer inspection is extremely important, since a home is often the largest investment a person will ever make. We want to help you protect your investment by doing a general evaluation of the home. Our inspectors will objectively determine if there are any defects in the systems, structures and components of the home, while adhering to industry regulations and standards.